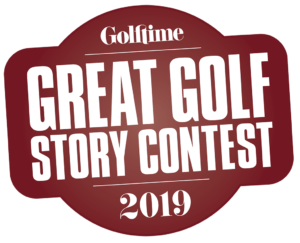 Golftime Magazine: Can we start with the U.S. Open? Now that you’ve had some time for it in your rear-view mirror, what’s your take on it? 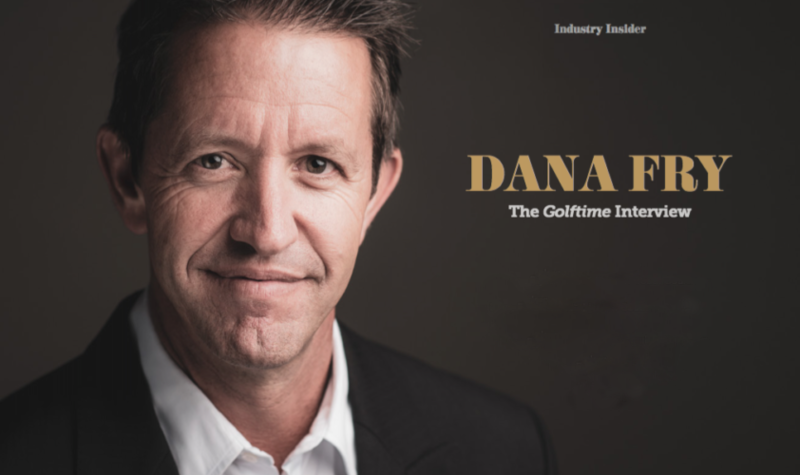 Dana Fry: Well, obviously never in my wildest dreams did I think I’d ever have my name associated with a golf course that has a U.S. Open — it just doesn’t happen. Now, obviously it did for Mr. Robert Trent Jones (II) a couple years before us (at Chambers Bay) — and a lot of people don’t know, we were in the final four for that job, came close to getting them both — but regardless, we had a U.S. Open and it went well and I know from talks that there’ll be future events there. GM: But not too many living architects can say they’ve had a U.S. Open course. DF: Well, basically just Robert Trent Jones, Mike Hurdzan and I, and Ron Whitten, because he was involved at Erin Hills. It’s a very small club, and you can see from the courses they’re picking now, probably not going to be any different (living architects) coming on board anytime soon. 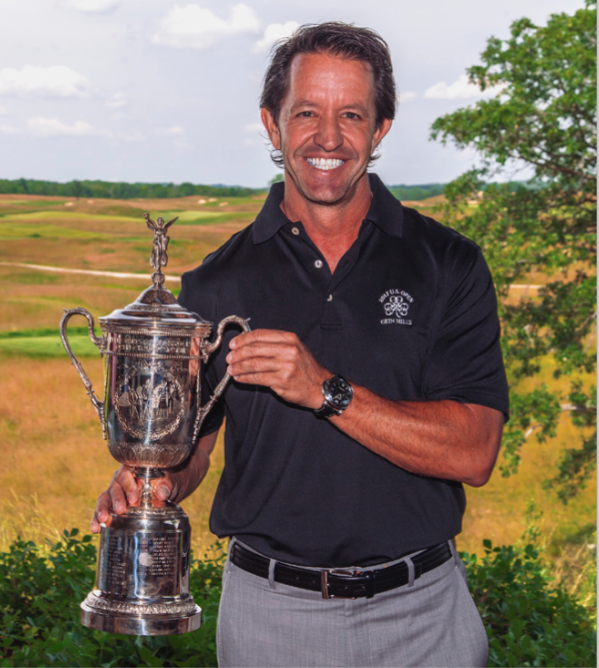 GM: Obviously you’ve had a great career before Erin Hills, but what did the Open do for you personally, as well as professionally? DF: Well, your name gets spread around the world, so that was a major, major change. I’ve struggled — I worked with Tom Fazio for five years, from ’83 to ’88, and then from ’88 to 2012 I was with Mike Hurdzan and was his partner. But we’d still struggled when we’d go outside the U.S., in particular. Nobody would know who we were. In Asia or the Middle East and these other places I’d go, you’ve got to be almost celebrity status or you’re not good. It’s not right, but it’s reality, and you can’t get the jobs because of that. This obviously has helped change that. I met a player who I’ve become very close to (editor’s note: the player’s name is still undisclosed as of press time), and we’ll be doing design work on select courses in the future. And that came about because of the U.S. Open. He’s seen the golf course and a few others and he liked the golf course, and he’s seen the quality of the work. So that wouldn’t have come about without a U.S. Open. I hope to be doing this at least another 20 years, maybe 25, God willing. I exercise, I work out. I’m like the Gary Player of golf architects. I take my health unbelievably serious. I exercise and lift weights and do interval cardio almost every day of my life. I’m convinced I (wouldn’t get as much work) if I was out of shape guy that didn’t have a lot of energy and a zest for life. I mean, that’s part of the deal. And I live to travel. And I want to do new courses, too. The vast majority of new golf courses is going to be spread all over the world. I don’t want to do a lot of work, frankly, but I want to spend a maximum amount of time on very select projects. I honestly believe the best of work of my career is ahead of me now, because I know what’s coming down the road. GM: And now you have more of a choice in your projects, right? DF: Well, now instead of losing jobs to — you pick the name, Jack Nicklaus, Arnold Palmer, Gary Player, Greg Norman, you know, Colin Montgomerie, Nick Faldo — I’ve lost jobs to those guys a bunch of times. Now it’s different because you’re on that side of the fence. And it is different. The deals are different, the clientele is different, and you’re going to be working on some incredible sites and places that I would never have a chance. And again, that all came about because of the U.S. Open. GM: Now, you’ve already been overseas, though, right? You were in China, correct? DF: That’s right, I lived in Hong Kong for five years, from 2008 to 2013, before moving back to Boca Raton (Florida) and then Naples. Mike Hurdzan and I did a lot of golf courses in mainland China, we had six open. GM: You got your start working for Tom Fazio, a pretty good gig right out of the gate in college. What’d you learn from him? DF: Well, the guy I met was a guy named Andy Banfield. Andy was then and still is today, Tom’s right-hand man, and all the people in our industry that are unheralded? He is at the top of that mountain. Because most people have never heard his name, and he’s a very unassuming guy, and — not saying this as a knock to Tom Fazio — but Tom Fazio would not be who he is today without that guy. Andy’s the guy that did Shadow Creek (in Las Vegas). And Andy’s the guy that made Tom Fazio say, “I learned that there’s no such thing as a bad site, when you have the money. With an unlimited budget, you can do anything.” Andy’s the best earth-moving guy that ever lived, because when he was done he could make it look like it was natural. You drive in to Shadow Creek, and it used to be nothing — just sand! But now you drive in and you can’t believe it, it’s a true Garden of Eden. But it looks believable. And Andy helped train a lot of the guys that worked for Fazio. But I can’t say enough about Tom and Andy Banfield. I would not be here today without those two guys, no question. GM: And then you went to work for Dr. Mike. Devil’s Pulpit, one of Dana Fry’s first projects. DF: I met Mike — Pete and Alice Dye, Alice Dye actually did the introduction to Mike Hurdzan, at the National Superintendents Show in Houston, Texas. And I was talking to Pete and Alice about possibly going to work for them — this was in February of ’88. And Mike Hurdzan came up the escalator and started talking to Pete and Alice, and they introduced me, and I’d never heard of him, I didn’t know who Mike was. I told him (after they’d left) I was thinking of going to work for them, and he said ‘Before you do that, I’m doing a course up in Canada called the Devil’s Pulpit’ — which was his first big job, ever. 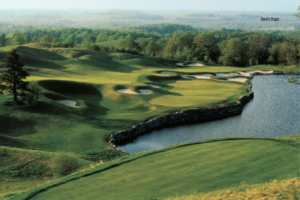 So he paid my way up there and I met the client, who said he ‘didn’t care what it cost, he wanted to build the greatest course in Canada’ — one of those type of guys. Mike said if I would move there and live on that job, oversee the construction and get it built, then I could move to Columbus (Ohio) and oversee all his jobs from his office. So up to that point I’d been traveling, and I had one child and one on the way. So creating a home base was appealing. So I went to work for Mike, not knowing what the outcome would be. We formed quite the odd couple, and I say that endearingly. Mike is a brilliant guy, technically, maybe the best that’s ever been in our profession, from agronomics, soil sciences, environmental issues, helping jobs get permitted … he absolutely was The Kingpin, I mean, he was the guy. And saying that’s not my background would be the understatement of all time! (Laughs.) My background was runnin’ bulldozers and creating shapes at that time. And I never got on a bulldozer again (after going to work for Mike). The last thing I ever shaped — here’s some trivia for the real golf nerds — the last thing I personally ever shaped, was the seventh hole at the Devil’s Pulpit, which was a par 3. It just went from there. He became the technical guy, and I was more the artistic guy, and I spent a tremendous amount — when you start talking about our biggest jobs, Calusa Pines, and Naples National, and Devil’s Pulpit, and Devil’s Paintbrush, those great, big jobs — I was there every week with those guys. I was at Arcadia Bluffs, literally every week — think I missed the week of the U.S. Open — from April through October, because I wanted to be there. And that’s how I want to do it going forward, and I’m really motivated to do it. GM: I haven’t been to the South Course yet at Arcadia, but it looks incredible. DF: Yeah, it’s really, really different. I met (Arcadia Bluffs owner) Rich Postma four years ago. Warren Henderson, one of the designers of the original course (the Bluffs, together with co-architect Rick Smith) — not many people know, but Warren used to work for Mike Hurdzan and I, and he worked for us when we built a course in Vancouver called Westwood Plateau. He was there for two years on that job. And I got a call from Rick Smith, who was working on his short course (Threetops at Treetops Resort), and asked if I’d go work with him. I was honored that he asked, but I said I didn’t want to leave Mike Hurdzan. I said, but I’ve got this guy, Warren Henderson, so that’s how that happened. So fast-forward, the summer before last, summer of ’16, I get a call from Warren and he says, ‘Well, we’re going to be working together real soon.’ I said, ‘What do you mean?’ and he says, ‘Rich has decided he’s going to build another course and you’re doing it.’ And that was it. And that’s how it started. I came up a few days later, and I stood on what’s now the third hole, the highest point on the property, and I said, ‘You know, Rich, have you ever been to Chicago Golf Club?’ and he said, ‘Well, yes I have.’ And I said, ‘What do you think of it? Obviously, it’s one of my all-time favorites, as it is for almost every architect.’ And he said the same thing. And I said we could do the same thing, create a feeling of Chicago Golf Club on the site. And he said, ‘Let’s do it.’ And that was it. And I can’t emphasize enough — this was not built to copy anything at Chicago Golf Club — it was the intent and style and look and feel of these real old-school-looking golf courses, with that real, walk-in-the-park experience. The existing course at Arcadia, I’ve heard 200 times now these two days (at the Michigan Golf Show), it’s everybody’s favorite golf course, and all they keep talking about it the views and the setting. And that is a major part of what makes golf what it is. And whether it’s Shinnecock Hills or Augusta National or Cypress Point, they’ve all got that unbelievable setting. And here (at the South Course) we didn’t have that unbelievable setting. We had good topography, but it does not have Lake Michigan. But I’m doing things that I’ve never done, like, I’m taking fairways that are doing dead-straight lines for 200-300 yards, in the fairway. And the way the bunkers are cut in diagonally into the fairways. And the fairway may have half the bunker on the back side. And the collars at Chicago Golf Club … the high point is the putting surface, so the collars go straight down into the bunkers. They’re mowing the collars with the greens mowers! The superintendent (Jim Bluck) thought I was crazy. The bunkers, where you have these flat bottoms, and the sides aren’t vertical, but they’re steep, and Jim took the whole crew down to (Chicago Golf Club) to see how they were doing this and walked the entire golf course so they could see what they were doing. They’re draining surface water from the greens right into the bunkers — that’s an absolute no-no. I’ve never done that in 34 years, but I did it on every green (on the South Course). They’re bigger than average greens with a lot of contour in them. So we put greens that average 9,400 square feet. So that means you’ll have 150-foot putts, sometimes with 20 feet of break, sometimes with 20 feet of break going two different ways. They’re going to be unlike anything anyone’s ever seen. The fairways are averaging 55 yards to 60 wide, but they might have bunkers cutting in half way, with 20 yards of rough. It’s a wide, wide, golf course, so there’s a lot of angles to play from. It’s got a lot of unique characteristics. GM: So it sounds like you’re doing some things that you’ve never done in your career. DF: No. I’ve seen a lot of golf courses, and Tom Doak, Bill Coore, Ben Crenshaw, Gil Hanse, Mike DeVries, these guys are doing some great old-style golf courses, but I’ve never seen one built to the degree of looking like a MacDonald/Raynor golf course than that one. And again, not copying style, but the look and feel and the way they did things. GM: This is going to be vastly different than anything most golfers have seen, correct? DF: A lot of players at Arcadia are also members at some of the high-end clubs, but the vast majority have never heard of Piping Rock, The Creek Club or Fishers Island. They literally have no clue what these places are. It’ll be very interesting to see their reactions, when they go to the first green, and the right side is 140 feet deep, and the right line is dead straight, and the front is dead straight, with this massive false front on it. They’re going to think this is wild. It’ll be interesting to see how they like, what to them is new, but what is really old school architecture — to the extreme. I really admire Rich for taking such a chance, to do something so boldly different. GM: It’s going to be the most unique 1-2 punch of courses in the country, right? DF: Right, because those two courses could not be more opposite. I mean, the bunkering doesn’t look like each other … there’s not one mound on this property, I can assure you, there is none. 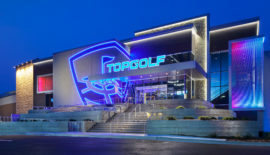 The high points are the greens. I think it is incredibly visually dramatic, on a low-profile scale. The other course obviously has these massive contours and with the backdrop it’s off-the-charts striking. This is striking in a polar-opposite way. GM: You’ve done a lot of work in the Midwest — thank you for that. Aside from Erin Hills and now the South Course, do you have any favorites? DF: Well, I did a course on a really tough piece of land outside Pittsburgh called Old Stonewall, pretty much on the Ohio border, and it was an incredibly difficult site, a lot of vertical topography, and we had to do a tremendous amount of rock wall work. And I did one in Peoria, Illinois called Weaverridge, and I became very, very good friends with the owner, Jerry Weaver, and I stayed with him and his family when we were building it, and my family would vacation there. I did the same thing at a course called Annbrier, in Waterloo, Illinois. I became very close to the owner and his wife, and they built the course in memory of their daughter. That’s the thing the average (golfer) doesn’t understand, the bonds you build while building these golf courses last a lifetime. I’ve been a friend of Warren Henderson’s now since 1991-1992. That’s how this job happened, 25 years later, just purely because of a friendship. GM: I don’t think most people understand how tight-knit the architecture community is. DF: Yeah, you develop a lot of close bonds, and it’s also unbelievably competitive, because there’s not a whole lot of work, today, like there was when Mike and I got started up until the crash of ’08. They were building 300-400 courses a year, I think. We would do five, six, seven jobs a year, opening, and working on 10-15 others at the time. It was crazy. That’s why I always admired the work of Tom Doak, Coore/Crenshaw, Gil Hanse. They always stuck to their guns and always did very few projects when they could have done a lot more. But the quality of their work consistently stayed high. And you know what? I could on to it later, but I’m doing the same thing. And every one of those guys would tell you some of their best friends they developed on those jobs. Some of these jobs I’m working on now are going to be the biggest jobs in whatever part of the world they’re going in, with some of the most influential people in that area, and just to get the opportunity to hang out with those types of people — we’re talking leaders of industry and powerful political figures, some of the wealthiest people in the world — and you get to become (friends). To those guys, they have all the toys in the world, but those golf courses become a focal point of their life. So you become [someone with “rock star” status] — yes, on a much smaller scale. I’m a normal guy — I grew up in Kansas City, Missouri, for God’s sakes — I’ve been to 109 countries! It’s just amazing stuff. GM: As you said, we’re not building a lot of courses in the U.S. these days. What’s your take on the state of the game? DF: One of the guys I was talking to (at the golf show) this morning was saying how hard it is for average guys to go play the Pebble Beaches, Dorals, and Arcadia — it’s an expensive proposition. And it’s tough for some of them, and the guys who built these places, the cost is the overriding factor. And the equipment, you can spend $400-$500 on a shaft for your driver! Jack Nicklaus has been right about the ball (needing regulation) and he’s been saying it for 25 years. They can say what they want about distance is just barely increasing, but give me a break. Now you watch guys, and at the U.S. Open it was Dustin (Johnson) and Rory (McIlroy) and Brooks Koepka, and this guy named Cameron Champ, who was an amateur at the time, led the field that week, averaged 345 yards off the tee. And a friend of mine, Kevin Daugherty, finished second at 343. I mean, you have 500-yard par 4s and guys are hitting driver-wedge. And the fitness of these guys these days. They’re all like that now. I put my arm around Brooks Koepka at the Open, and it could barely reach! Huge guy. They’re so athletic now, so flexible, and you start combining all those elements, and what are you going to do? Obviously you’re never going to do a roll-back for the average golfer (of golf ball performance), and I don’t think you should, but they have to, at some point in time, do something. There has to be an end. You just can’t keep adding length. And Erin Hills proved that length doesn’t even matter. You can make fairways tight, you can grow-in rough, and you can make greens (knocks on the table) that hard. And then you put wind on it, and it becomes unplayable. It’s real simple. But what some of those guys would tell me, ‘So you’re telling me, I’ve trained myself to do this …’ — and some of them aren’t big guys, Justin Thomas, Rory, but they can hit it 310-320 on the fly any time they want to. And they’re talking, ‘So I’m going to get penalized, because I hit it far? I taught myself to do this. I trained my whole life to do this. And you’re going to take that back away from me? Is that fair?’ It’s a tough issue, but they have to do something. And I think the people that will do it will be Augusta National. They have the power. They can say, ‘It’s our tournament. It’s an invitational. Anybody can come, if they’re invited, but they’re playing our ball.’ I think it’s going to happen. I can hit a 7-iron now 180 yards. In my prime, in college, I hit it 155 yards. That shouldn’t happen. DF: Beyond. I turned 56 March 14, but in my mind I’m about 35. When I look at my face, it definitely gives away my age because I’ve spent so much time in the sun. But I changed my entire life about five years ago. For a long time I was a 40-inch waist — for a long time. But I lost that back in the early 2000s when I started running, ran a couple marathons. But I just got skinny. Then in December of 2012, I went to Florida Atlantic University, to a (physician) friend, who said, ‘You’re a trainwreck.’ I was 162 pounds. These guys did 3 ½ hours of testing on me, and I decided to change my life, completely, because they scared the living daylights out of me. They did every test known to man, and my bodyfat test came back at 25.4 percent. Twenty-five percent and above is considered obese. They said, ‘If you continue on the path you’re on, you’re going to be a weak, feeble old man who’s developed a bit of a hunchback, because you won’t have the strength.’ So they put me on a high-intensity program where I would lift weights, but a lot of reps, and after a year I’d only put on three pounds, but I got back down into 17.9 percent bodyfat, which is back in the healthy range.